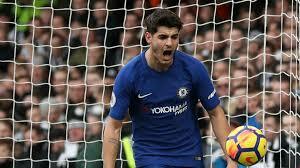 Chelsea vs Brighton: Premier League , live stream info. Chelsea face Brighton as the Premier League champions on Saturday, 20 January 2018 at Falmer Stadium. Chelsea are looking to win , after loss in the last four games, and have not scored in their last three outings. When: Saturday, 20 January 2018 . Chelsea are looking to end their goal drought as the champions head to Brighton today. Antonio Conte's Blues are without a win in the last four games, and have not scored in their last three outings. The match is available via Now TV, with a day pass on offer for £6.99. The match will be televised live on Sky Sports Premier League and Main Event, with coverage from 11:30am. No Comment to " Chelsea vs Brighton: Premier League , live stream info. "